During his 19 years with HSBC David helped set up the independent financial advice service for the bank in Cornwall. In a rapidly changing world there is a need for understanding, and a perspective that creates opportunity for investors. However, some things will never change as a recipe for success – putting the client first, good communication, risk management, solutions relevant to the client’s circumstances needs and objectives, building long-term relationships of trust and loyalty. David believes in delivering the highest level of service to clients and meeting their financial planning needs with a truly independent and thoughtful view gained from many years of practical experience. An adviser since 1984 he was delighted to join his colleagues at Vision in 2010. 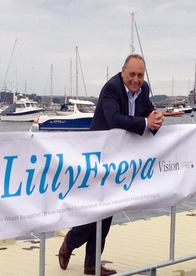 In 2012 he is proud to be the founding sponsor of the Vision LillyFreya Royal Cornwall Yacht Club Summer Race Series and the Vision LillyFreya Youth Fund with the aim of encouraging young people to develop their sailing skills. 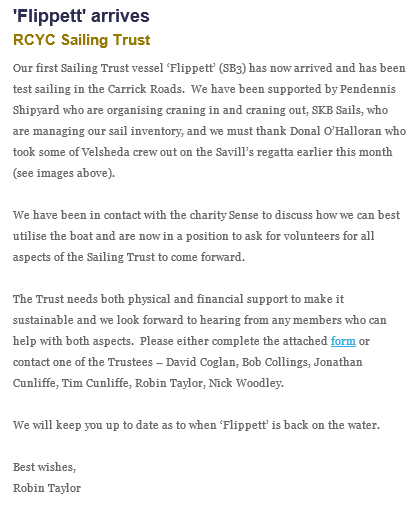 David can be contacted at our Falmouth Office on 01326 210904 or on his mobile which is 07515 507334.